My paintings say everything I cannot. How can we share our luv? In what ways do you give luv? In what ways do you receive luv? For me, art is pure LUV. Resonate with that this Solstice and luv one another. p.s. Miss Kitty original has sold but prints are available. 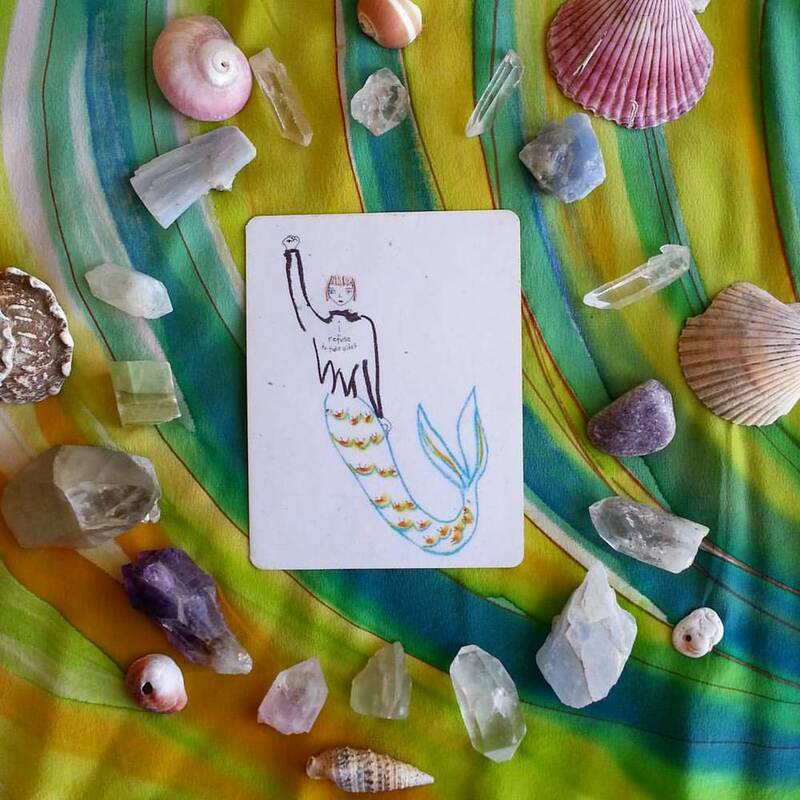 Receive Spirit Guided Inspiration directly to your email inbox. Unsubscribe any time. "Forest Heart" by Kathy Crabbe ...The original has sold. Handsigned Prints are avail. here. Wishing you a happy, healthy, holy Solstice. seeks; in nature and within. Yet she is a fierce fighter when called upon. heart song, silently, relentlessly, alive. Birth of the Sun Goddess: Happy Solstice! I painted this Goddess at the Winter Solstice. May she fill you with hope and courage and energy for the New Year. May she help you delve deeply into this darkest of dark times. May she help you find beauty and wisdom within as you navigate stormy seas. Solstice Blessings to ALL and may these words also resonate with my Sisters and Brothers in the South who are celebrating Summer Solstice. Prints & Cards are available in my Shop. I got sick for a day, probably because I burnt out on marketing, so I'm throwing it all out the window for Solstice...letting go...ahhhh. As I sit in my hot tub and feel the weight lifting I relax fully and completely into Goddess; into me. Funny thing is, when I do this two great ideas come to me. I need to focus on ME and that's okay; in my art and my writing. There isn't much out there for the CRONE online. It's Millennial dominated (and Gen X) and I am the bridge. I was born in 1965 so I am the very first of my generation (Gen X) to turn fifty. I understand the computer and am comfortable there and I can share all I do with other CRONES. Yes it's looking a lot like Yule around my home right now. 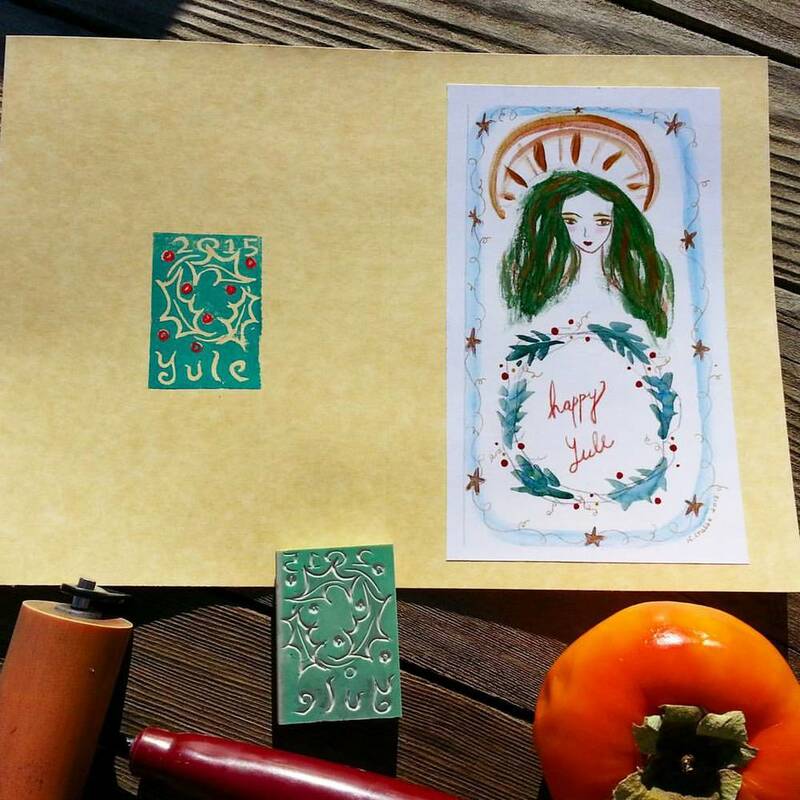 This year I decided to make laser copies of my latest Yule Goddess painting for the cover of my Yule cards to send out to family and friends. I also decided to hand carve a rubber stamp for the back with the date on it. So far I've assembled 45 cards...now to mail them out. Happy Yule!